Paper Daisy Crafting: Merry Mistletoe from Stampin' Up! again! Merry Mistletoe from Stampin' Up! again! I'm still on my Merry Mistletoe marathon!! Today another simple but lovely little card. Back to using this lovely reindeer silhouette stamp. 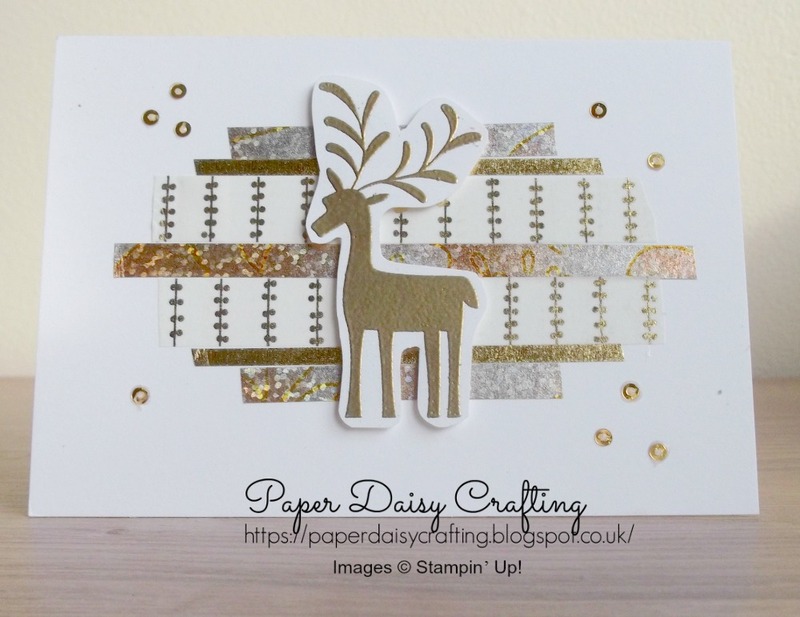 I have heat embossed the reindeer in gold, fussy cut around him and mounted him on dimensionals. I have again used our Whisper White note cards and made a background using the Year of Cheer Washi tape. 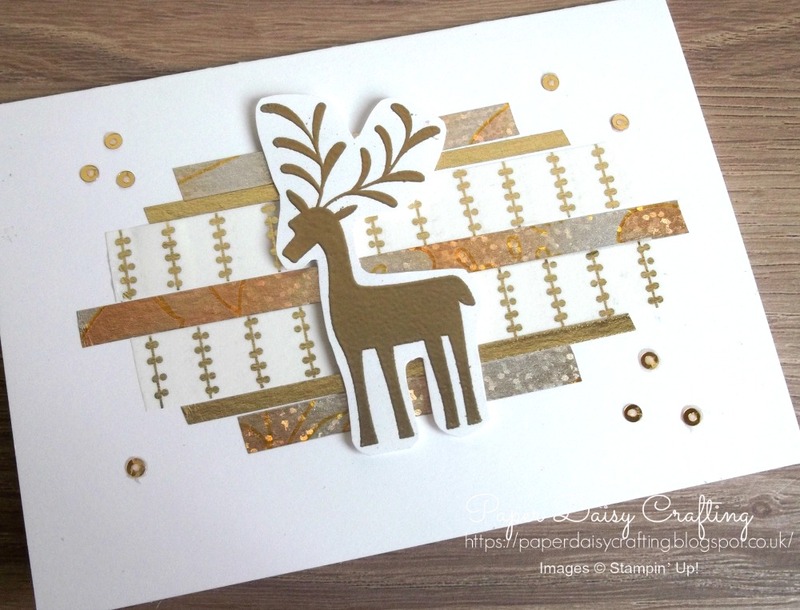 The card is finished off with a few mini gold sequins. Short and sweet today! Hope you like the card! Let me know in the comments.